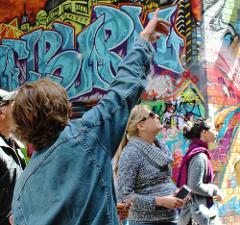 Melbourne Street Art Tours are the first and only tour in Australia run by practicing and prolific street artists! 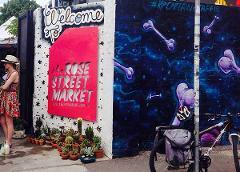 Join us for an exciting walking tour of some of the best (and often quite hidden) street art in Melbourne. Discover Melbourne's colourful alternative hub and see a huge array of street art on our brand new Fitzroy Street Art Tour. If you’d prefer the VIP treatment why not opt for one of our private tours?